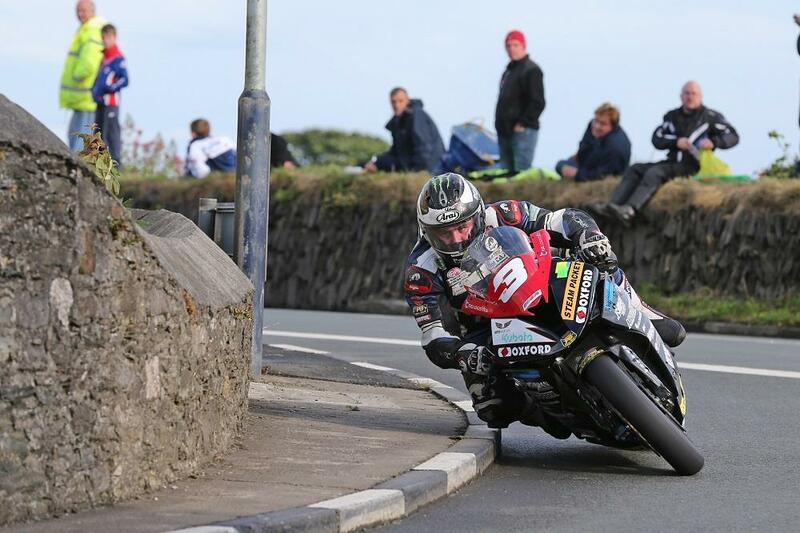 Michael Dunlop took his second victory of the week at the Southern 100, cruising to another dominant win in the Senior Race. With a sublime display around the 4.250 mile Billown circuit, Dunlop beat Mar-Train Yamaha’s Dan Kneen to the line by an incredible 25 seconds to take the win in drying conditions with Ivan Lintin completing the podium for Devitt RC Express Racing. Seamus Elliott took fourth ahead of Anthony Redmond with Rob Hodson rounding out the top six. It wasn’t a great race for Dean Harrison, who crashed out of Tuesday night’s 600/1000cc race, who took another DNF. Harrison managed to bounce back in the 600cc class however, taking the win from Ivan Lintin by just 0.04 second at the line. Colin Stephenson completed the podium. Lintin took the spoils in the Supertwins class with Tim Reeves and Patrick Farrance victorious in the sidecars.